- New Orleans Mayor, C. Ray Nagin, New Orleans City Councilwoman, Cynthia Willard-Lewis, and ELCA Presiding Bishop, Mark Hanson express their gratitude. 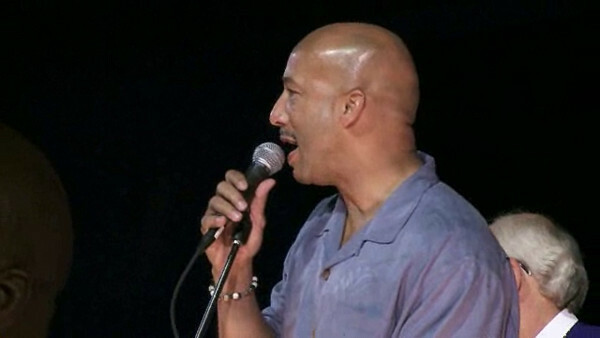 Mayor Nagin's delivered his remarks to the Youth Gathering on Saturday night, July 25th at the Louisiana Superdome. Councilwoman Willard-Lewis and Bishop Hanson spoke at a press conference held on Friday, July 24th at the Joe W. Brown Memorial Park in the New Orleans neighborhood of New Orleans East. Mayor Nagin was also present at that press conference.